Joining the NTA is a two-step process. Please choose the appropriate membership from the selections below, and then make your payment via the buttons at the bottom of the page. Payment is via our convenient PayPal checkout or check. You do not need to have a PayPal account to use PayPal. Active Military Rate and First Responders: Membership is only $15 with active military or government ID. All requests must go through the NTA Military and First Responders Liaison, Brandy Daingerfield. Special Invoices will be issued through the NTA Executive Director. IMPORTANT: You must also use this two-step process for membership renewals as well. The National Tutoring Association values your membership. All memberships will be acknowledged and processed within 48 hours of payment receipt. Membership materials will be mailed within three days of application. This form must accompany your payment. When you join the National Tutoring Association, your email address is placed in our database and used to send newsletters and occasional correspondence. We will not sell, rent, or otherwise share your email address with anyone. You can remove your address from our email list by following the instructions at the end of every email we send. *All student membership rates require proof of student registration. One year NTA newsletter access. Qualified to attend annual NTA Conference. NTA Product & Service Discounts. *Requires proof of high school student status, i.e. letter from school on school letterhead. See below. *Requires proof of first-time undergrad student status at college/university. *Requires proof of first-time undergrad student status at college/ university, i.e. enrollment letter on school letterhead. See below. *Requires proof of first-time grad student status at college/university. 1 year NTA newsletter access. *Requires proof of first-time graduate student status at college/ university, i.e. enrollment letter on school letterhead. See below. File types accepted: PDF, JPG, GIF. Upload your required proof of student status here! Max file size 20MB. For institutions with ten to twenty-four tutors. Up to 24 NTA membership certificates. One year access to NTA Newsletter. Please include list of names with application. Qualify to register for bi-annual NTA National Conference and Regional Conferences. NTA Products and Services Discounts. For institutions with twenty-five or more tutors. 1 - 50% reduced rate of tuition to annual NTA conference. 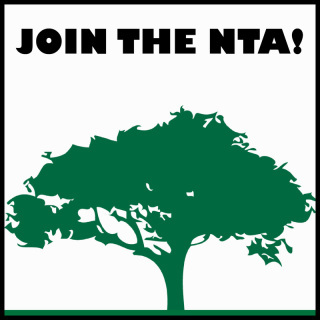 Up to 35 NTA membership certificates. ﻿﻿Rates are the same for International Students, Professionals, Programs, and Institutional Memberships. Please include the following shipping and handling fees in U.S. funds with your membership. Postage for all other worldwide locations quoted upon request. Students or Professionals. Programs or Institutions.